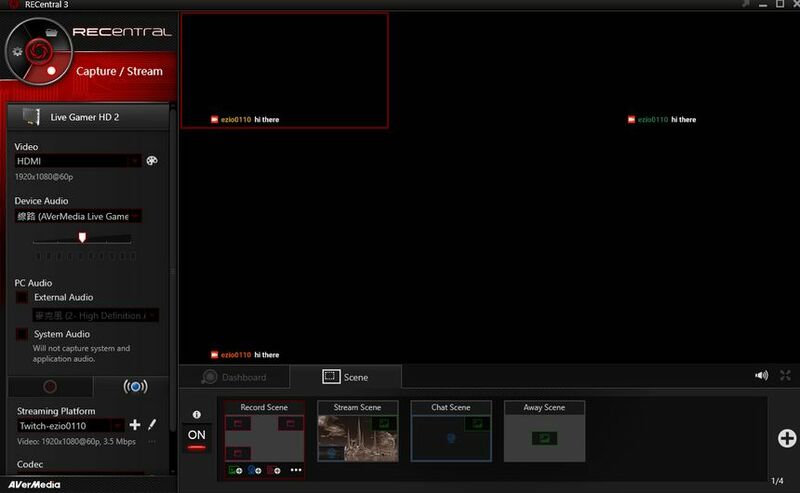 ● How do I capture console party chat? 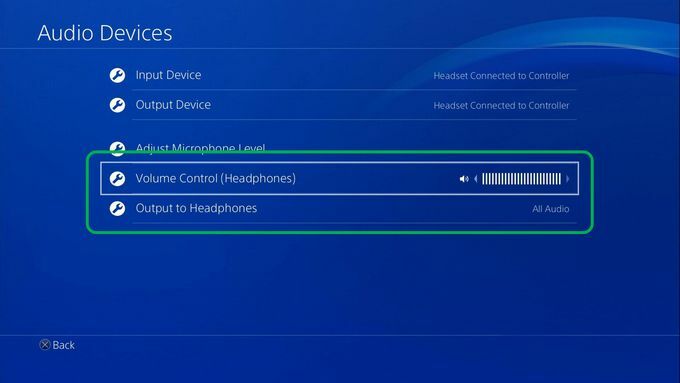 Please first watch this tutorial video: https://www.youtube.com/watch?v=ZdtmEPe7k_E PS4 players, go to Settings > Devices > Audio Devices, and set Output to Headphones to All Audio. We also recommend raising the Volume Control (Headphones) level. 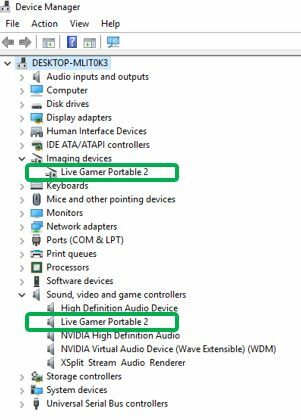 Go to Device Manager on your PC and make sure Live Gamer Portable 2 is listed under Imaging devices and Sound, video and game controllers. *In some rare cases, your LGP2 might be detected as a question mark (?) or a USB audio device. If that happens, right-click the device name and select Uninstall, and then re-connect the USB cable. 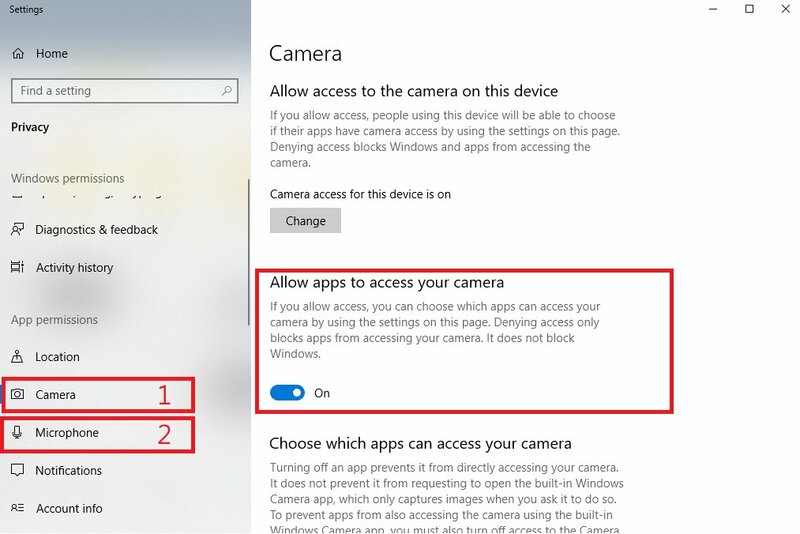 Note: after Windows 10-1709 update LGP2 will be listed in Device Manager under “Cameras” instead of Imaging devices. ● When previewing RECentral 4 displays irregularly (such as frame drop, broken picture, etc. ), what to do? ● RECentral shows "Device occupied" error message, how to fix it? 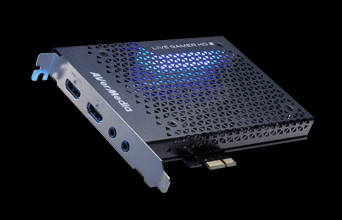 ● I want to use GC510 Live Gamer Portable 2 on MAC system. 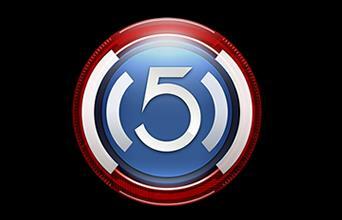 What are the system requirements? we strongly recommend using Intel® Core ™ i7 Quad-Core. 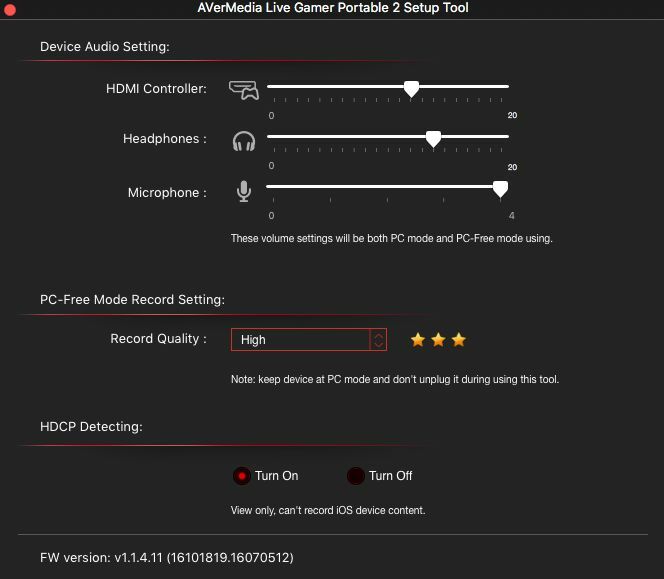 ● Can I disable Microphone (Live Gamer Portable 2) in my system? 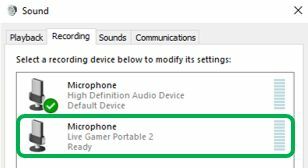 Being a USB Audio Class device, LGP2 is also a microphone that requires to be enabled in order to work, so DO NOT disable Microphone (Live Gamer Portable 2) in your system. 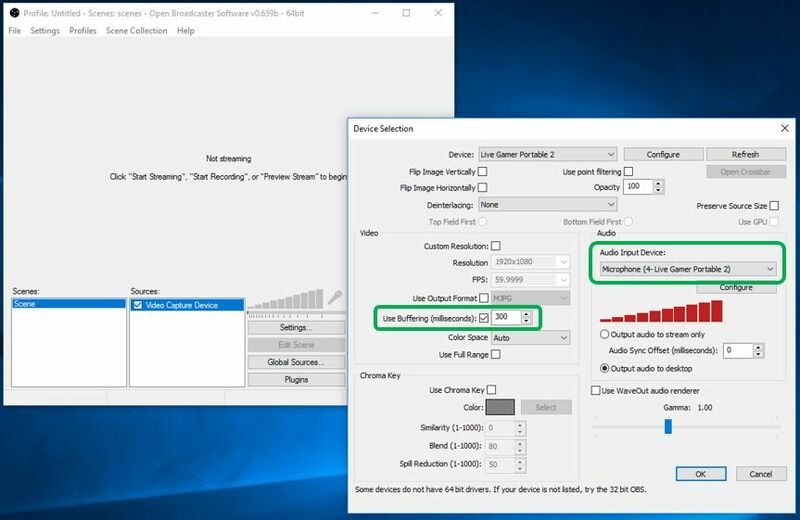 ● How do I adjust overall audio balance? 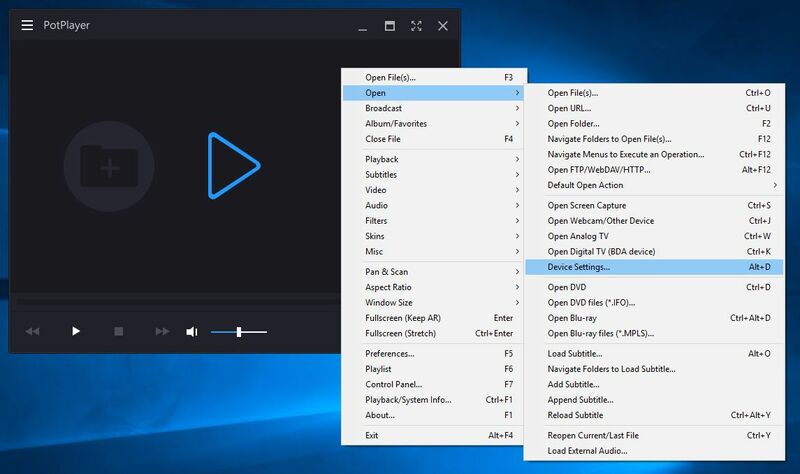 Open RECentral 3, go to Capture / Stream > Device Audio > , and you will be able to adjust the source input, microphone, and headset output volume. ● How do I record my iPhone/iPad screen? To capture your iPhone/iPad screen, open RECentral 3, go to Settings > Capture Device (LGP2) > General > HDCP Detection, and check the Off box. Please note that the HDCP Detection will be turned back on automatically when you update the firmware. ● How do I update the firmware? First, download the update file to your computer, then follow the steps shown in this video to update the firmware of your LGP2. 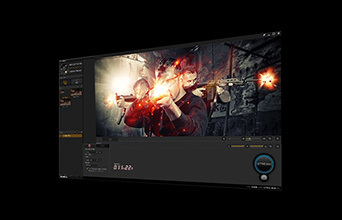 The AVerMedia LGP2 Stream Engine plug-in helps you achieve better performance on your streaming software through its decoding mechanism. It is automatically installed when you install RECentral 3. 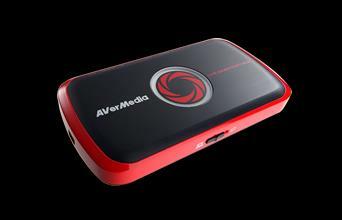 You will be able to find it in the list of capture device as "AVerMedia LGP2 Stream Eninge". 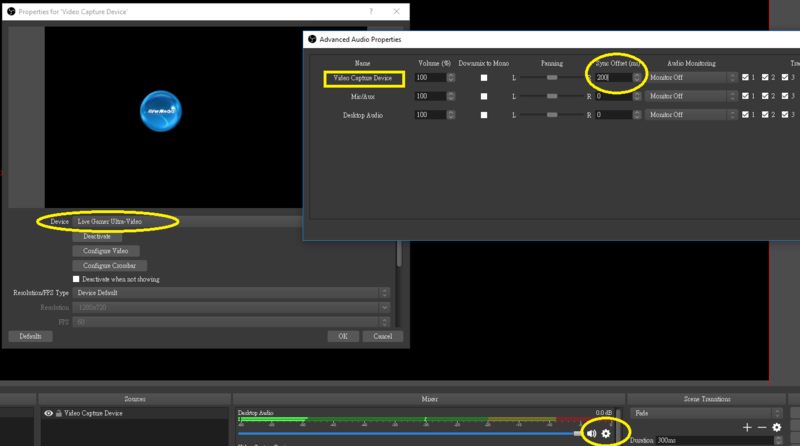 LGP2 is a USB Video/Audio Class (UVC/UAC) device so there are some differences in setup in OBS Studio. 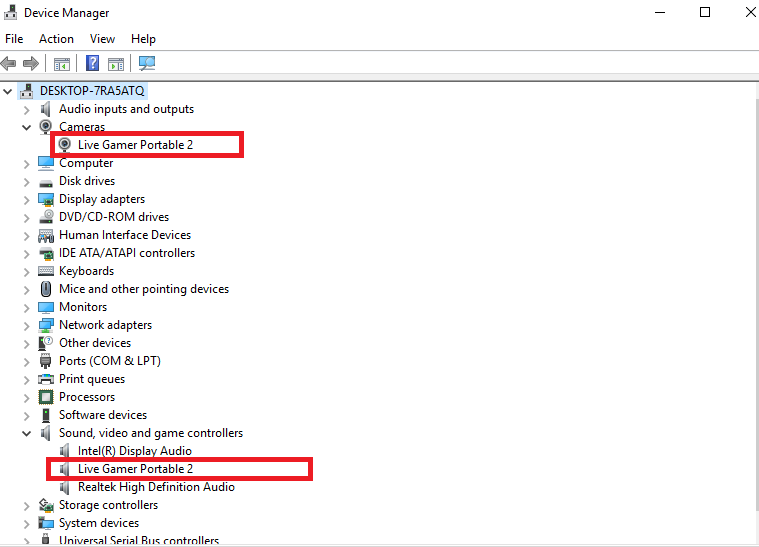 *Do not change Audio Output Mode, keep it at Capture audio only to avoid audio latency. 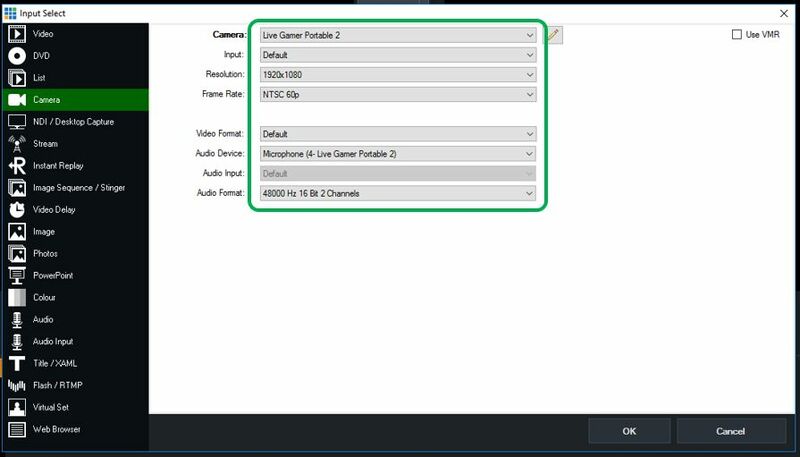 LGP2 is a USB Video/Audio Class (UVC/UAC) device so there are some differences in setup in OBS Classic. 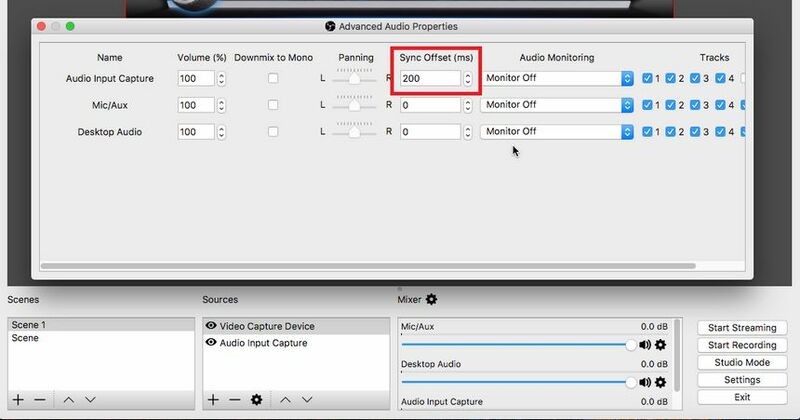 *For Audio Input Device, select Microphone (Live Gamer Portable 2)*You may need to set a video delay (Use Buffering) of 150–200 ms to solve the AV sync problem. 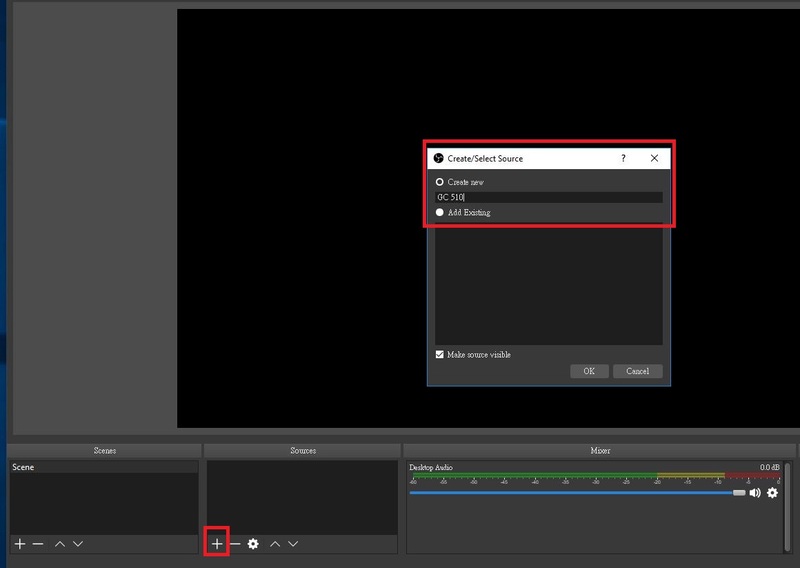 This is currently a limitation in OBS Classic, and we recommend OBS Studio over OBS Classic for that reason. 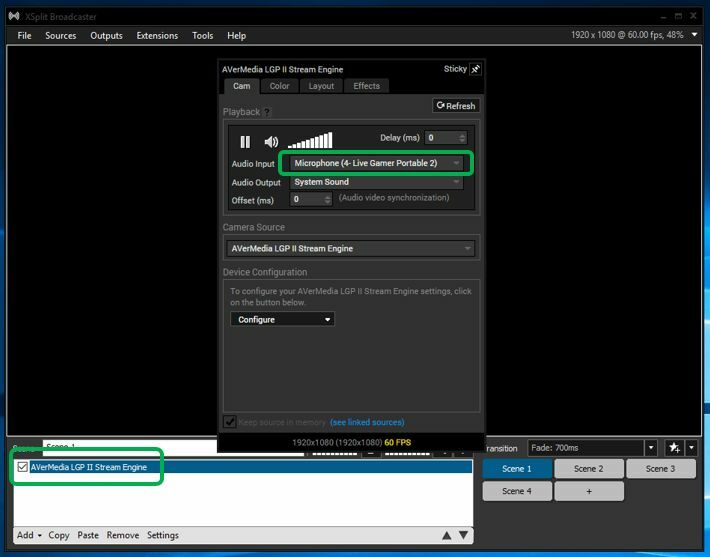 We highly recommend using XSplit Broadcaster with LGP2 Stream Engine, which is automatically installed when you install RECentral 3. LGP2 is a USB Video/Audio Class (UVC/UAC) device so there are some differences in setup in vMix. 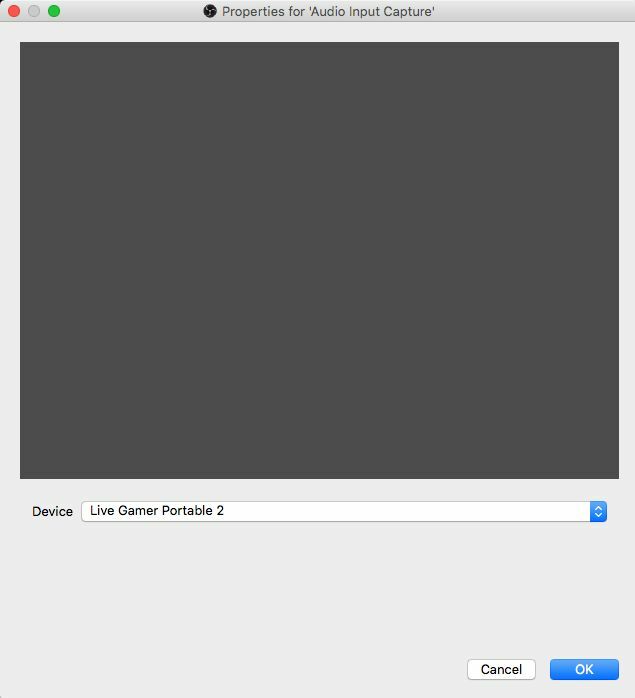 LGP2 is a USB Video/Audio Class (UVC/UAC) device so there are some differences in setup in Potplayer. 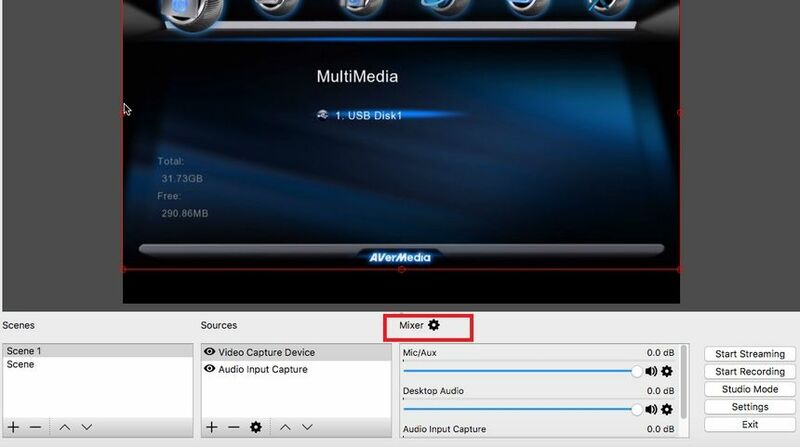 ● How to turn off HDCP on PS4? 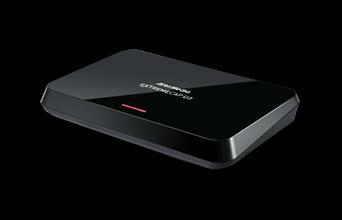 To capture PS4 gameplay over HDMI, update your PS4 firmware to version 1.70 or later. 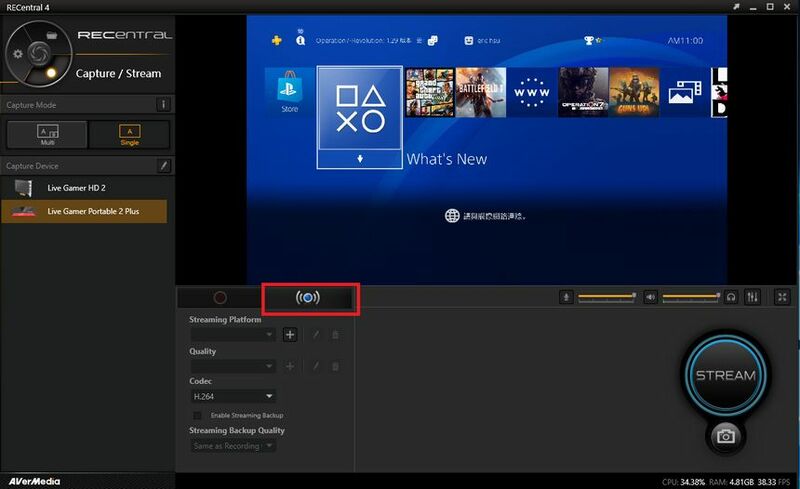 Click here [https://www.youtube.com/watch?v=Pe0J2-HnvPY] for a tutorial on disabling HDCP on PS4. 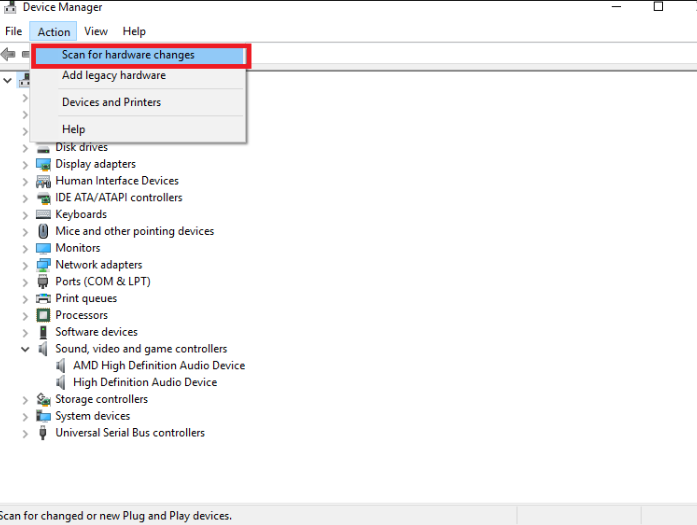 ● Can I use a power bank in PC-Free mode? Yes, you can. For PC-Free mode, we recommend power banks with 5V1A or above. A 6000 mAh power bank can last about 3.5 hours. ● Can I use Apple EarPods on LGP2? We do not recommend using Apple EarPods on LGP2 due to its proprietary design, which creates noises through its microphone. ● A list of compatible microSD cards. LGP2 requires a Class 10 or above microSD card. Please refer to the list below. ● Why am I hearing things twice in my video? 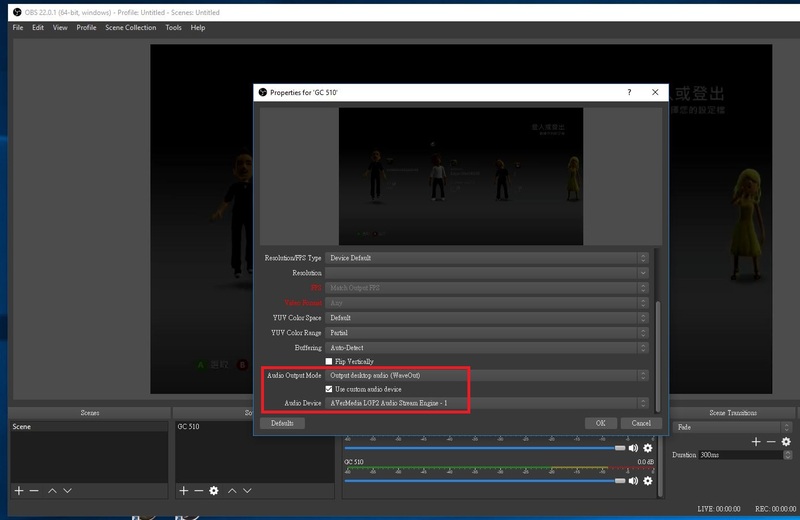 Please note that if Microphone (Live Gamer Portable 2) is already your PC's default device, DO NOT set it as a microphone input in your streaming software. 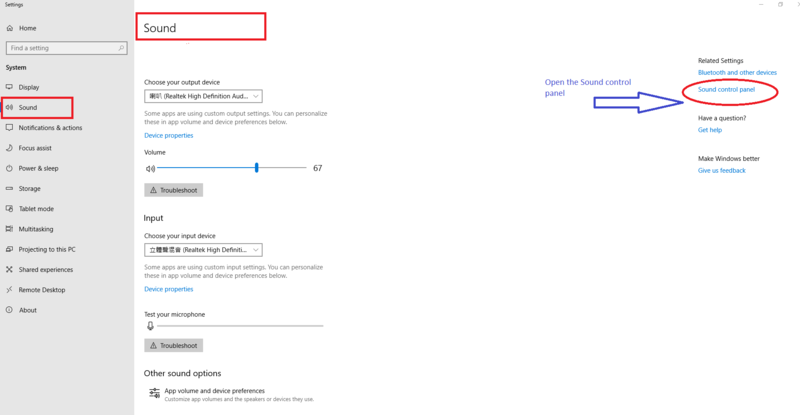 ● Why am I hearing static noise from my headset? 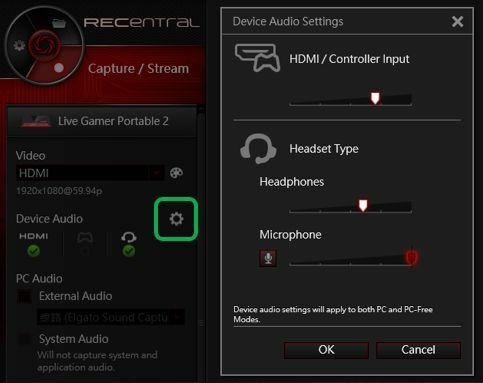 Please do not charge your controller via the same power source as LGP2 while using the LGP2's headset features. 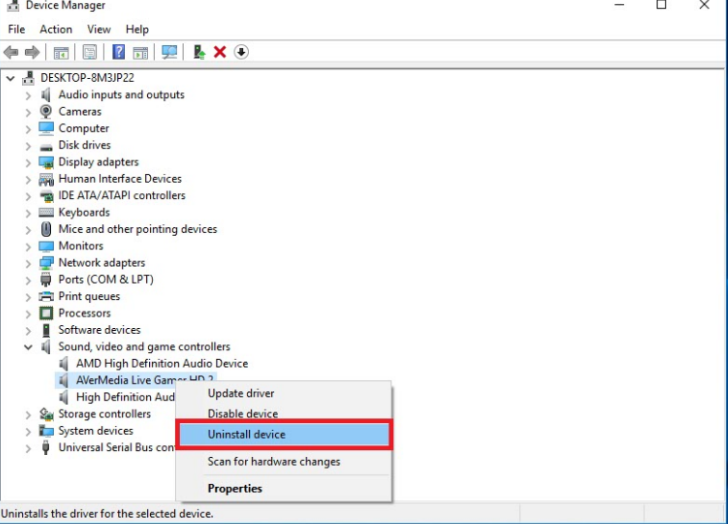 ● Does PC-Free mode work with Wii U's USB port? The USB ports on certain Wii U models do not provide enough power. In that case, connect your LGP2 to a power adapter or connect it to other power sources. 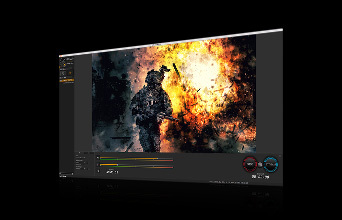 ● How do I use LGP2 on a Mac? 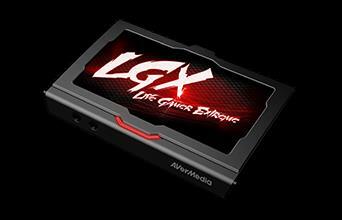 Please download and run the LGP2 Setup Tool, you can adjust the audio balance, recording quality in PC-Free Mode, and enable/disable HDCP for iOS device capturing. 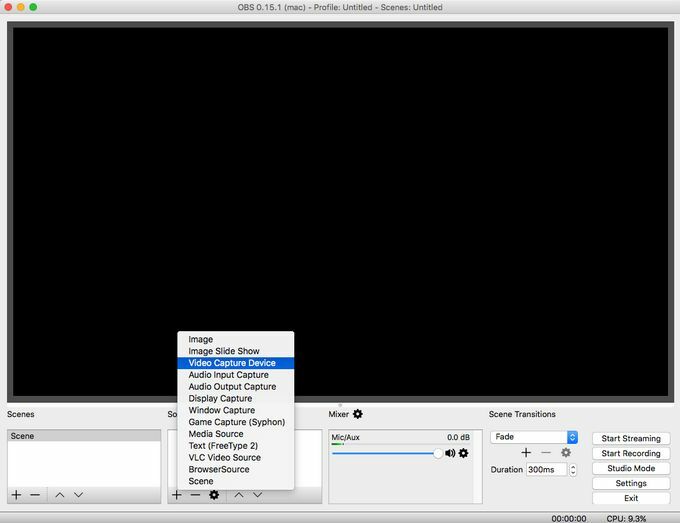 ● How do I use LGP2 with OBS Studio in Mac? 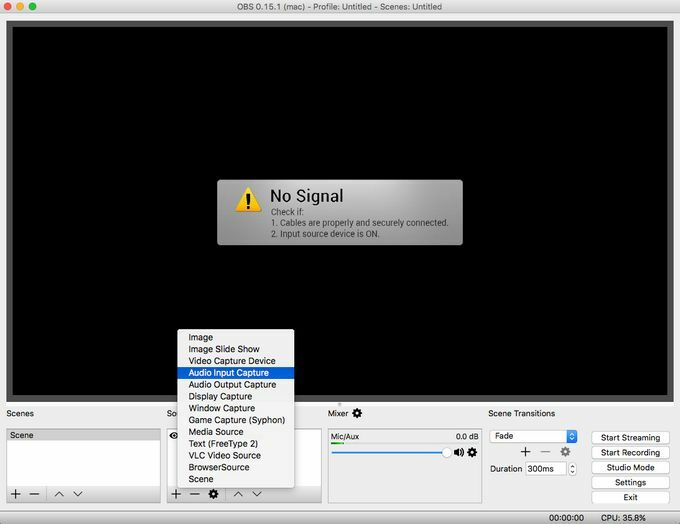 Follow the two main steps below to add LGP2 video and audio into Mac OBS Studio. 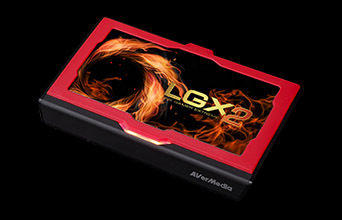 ● How do I record in QuickTime with LGP2? 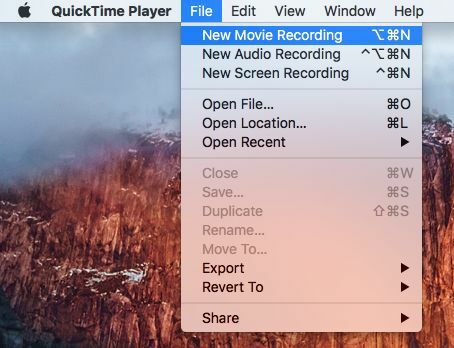 In QuickTime Player, go to File > New Movie Recording. 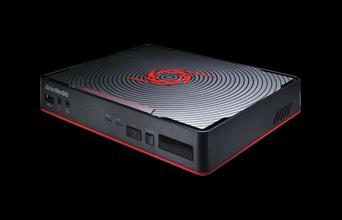 Select Live Gamer Portable 2 in the configuration. Adjust the volume for better audio quality. ● LGP2 can't seem to pickup my voice. What's wrong? Both LGP2's headset and controller ports follow the CTIA standard definition of L, R, G, M, which is the same as PlayStation 4 and Xbox One's standard headsets. 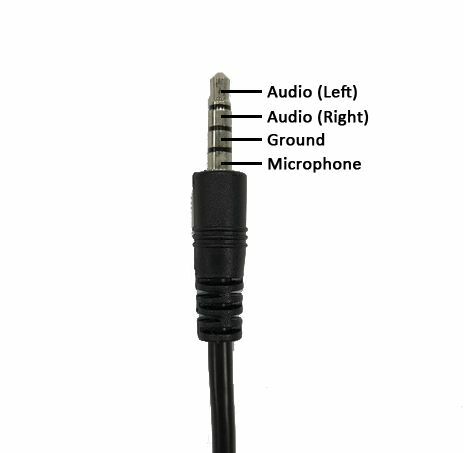 If you can't get microphone input, please check and see if your headset is following the same standard definition. Consult with your headset retailers if you need further assistance. 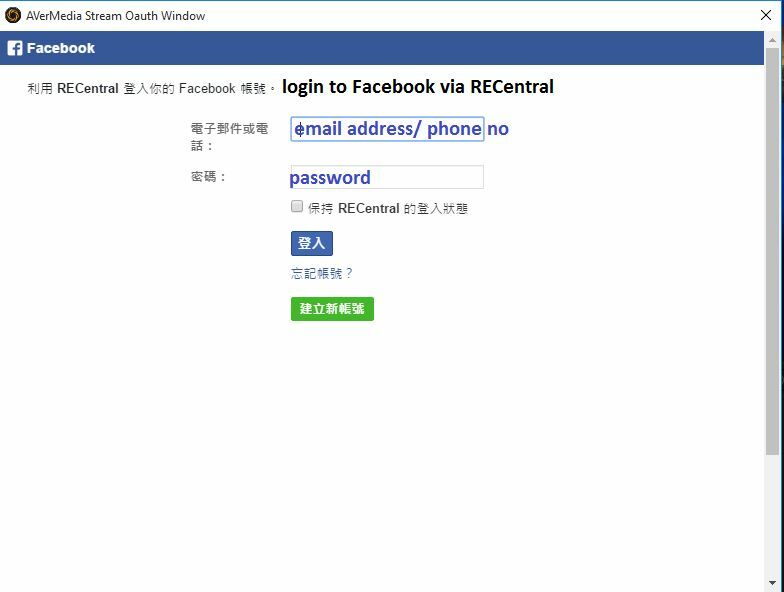 ● Can I run RECentral 3 under 32-bit Windows? 32-bit operating systems limit the maximum RAM to 4 GB, and streaming software consumes a lot of memory, especially when using functions such as overlays. 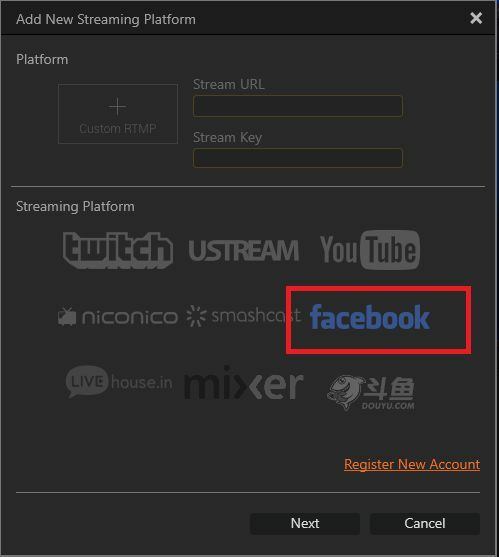 As such, performances of streaming software (including RECentral, OBS, or XSplit) will be impaired, and may even lead to abnormal behaviors. Therefore we recommend running streaming software under 64-bit operating systems with at least 8 GB of RAM to get a sufficient share of memory when running the program. ● When connected to Xbox One, why is RECentral 3 showing “No Signal”? 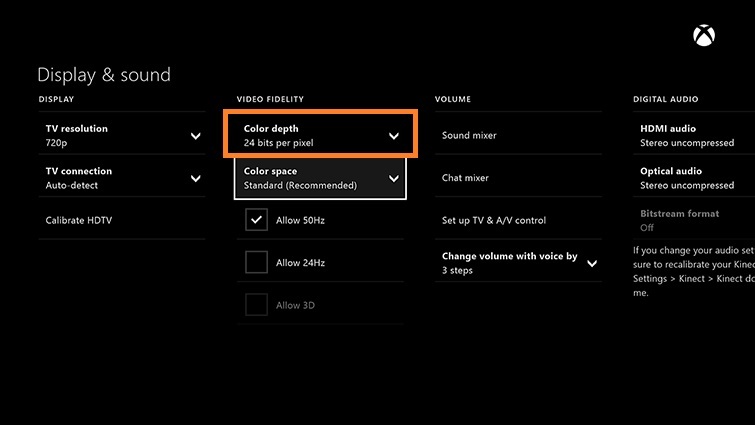 Because GC510 doesn’t support Deep Color, please go to your XBox One Settings > All settings > Display & sound and set Color depth to 24 bits. 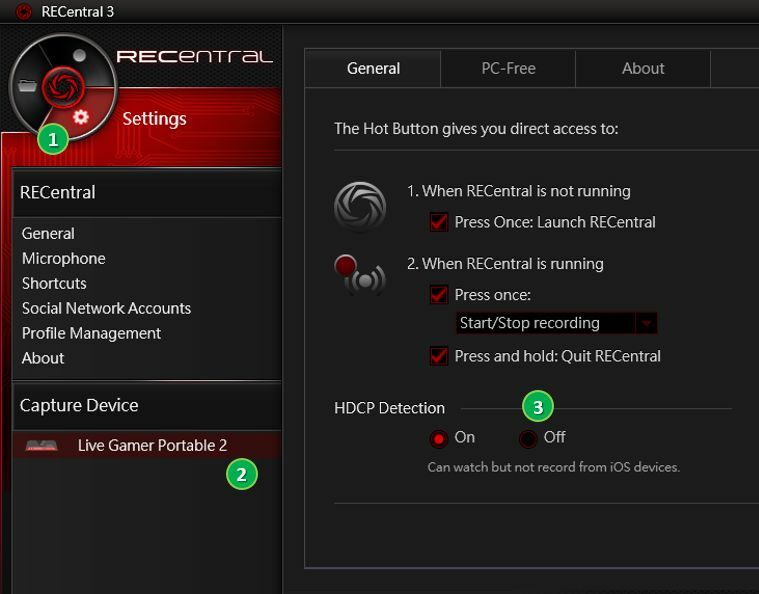 ● How to solve RECentral 3 "Device is busy" error? 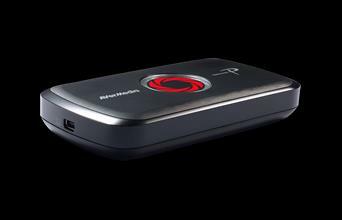 LGP2 is a USB Audio Class (UAC) device that requires to be enabled to function properly. 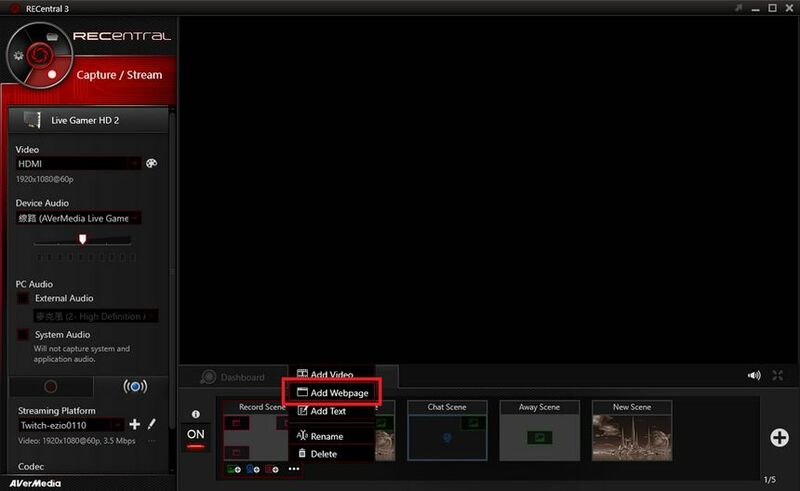 Make sure to have it enabled in Volume Panel/Recording devices. 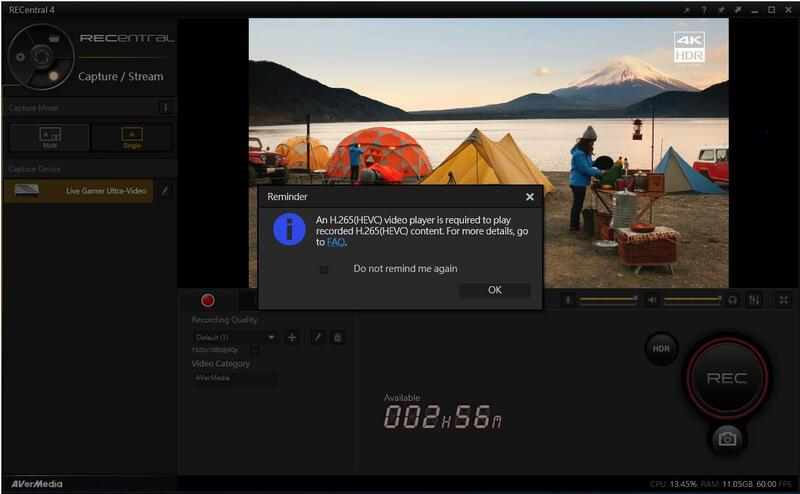 ● How to solve RECentral 3 black screen (in video preview window) error? Please check whether do you run any antivirus application (for example Avast) on your PC that might block RECentral 3 from running properly. 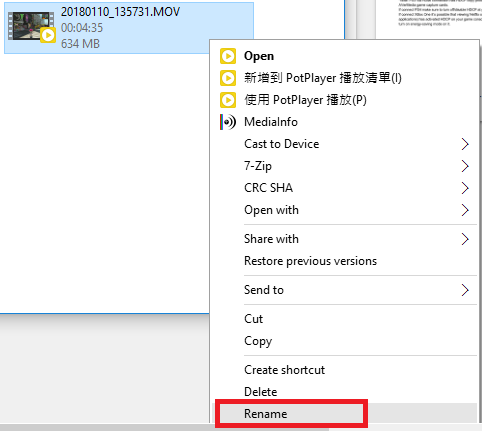 ● LGP2 PC Free mode names the file recorded on micro SD card based on date/time of capture, in case the file shows wrong information how to adjust it? LGP2 timer follows RTC (Real time clock) counter method, this means every time you connect the device to your PC, RECentral service will automatically detect the system time and synchronize it with device's RTC timer. 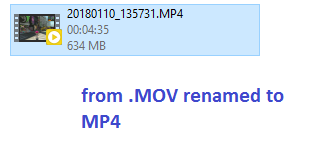 In case you found the time (shown by recorded file name) being not accurate please make sure to adjust your PC’s system time. 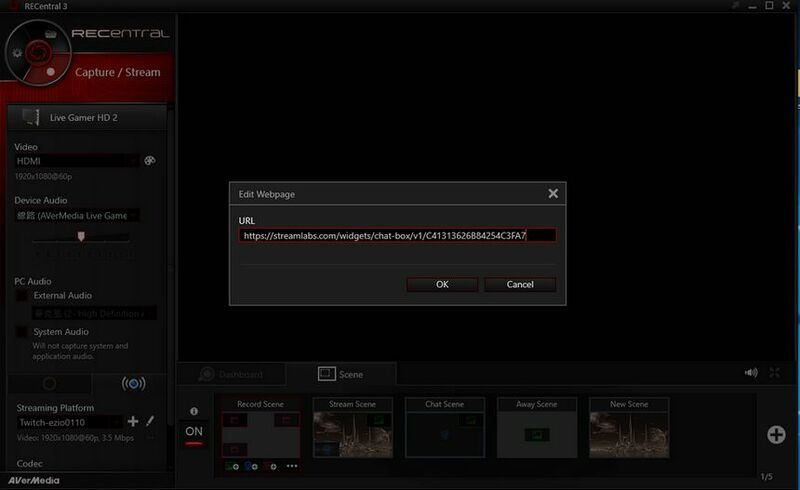 ● When connecting PS4 PRO why I don’t receive sound in RECentral and recorded files don’t contain audio track either? 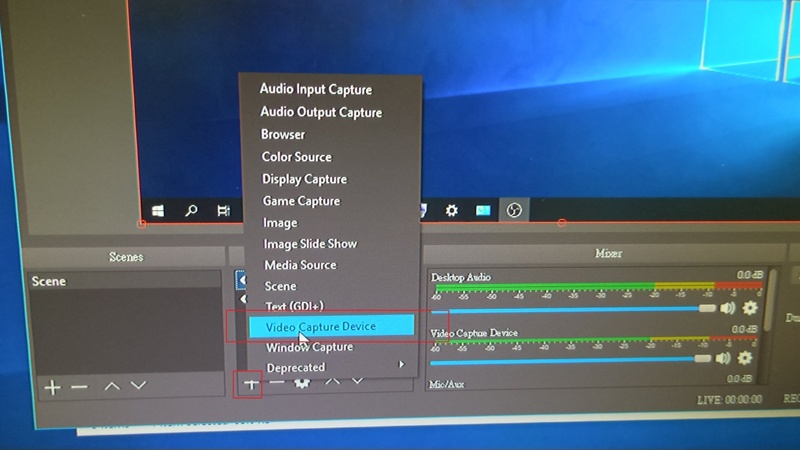 In case you connect 4K TV to AVerMedia capture card’s HDMI output port please make sure to disable HDMI UHD color options in your TV’s settings. 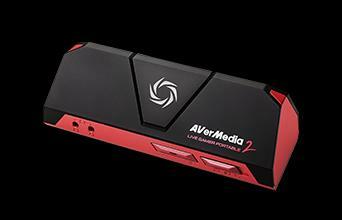 ● Can I record game footage from my retro consoles (PS2, Nintendo Wii, GameCube, N64, Sega Genesis) with my AVerMedia capture card? 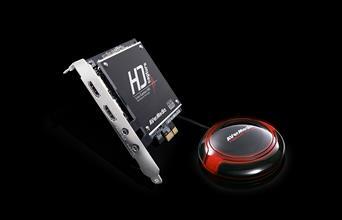 Yes, but you will need composite/component to HDMI converter. 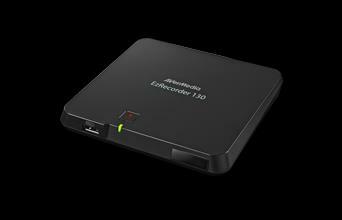 For this purpose we highly recommend our ET111/ET113 converter. 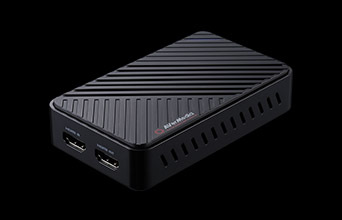 Connect your console to ET converter via composite/component cable* and connect HDMI from converter to your AVerMedia game capture card’s HDMI in. Make sure to plug converter to USB power supply. if your old console has component output please consider ET113. 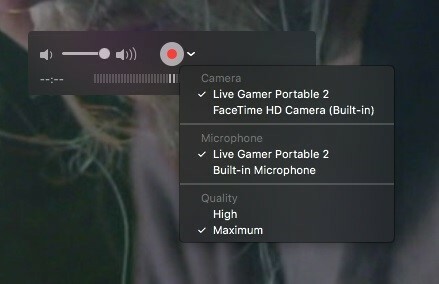 ● The video files I recorded with MAC OBS have Audio/Video out of sync problem, how to make sure to avoid this issue? 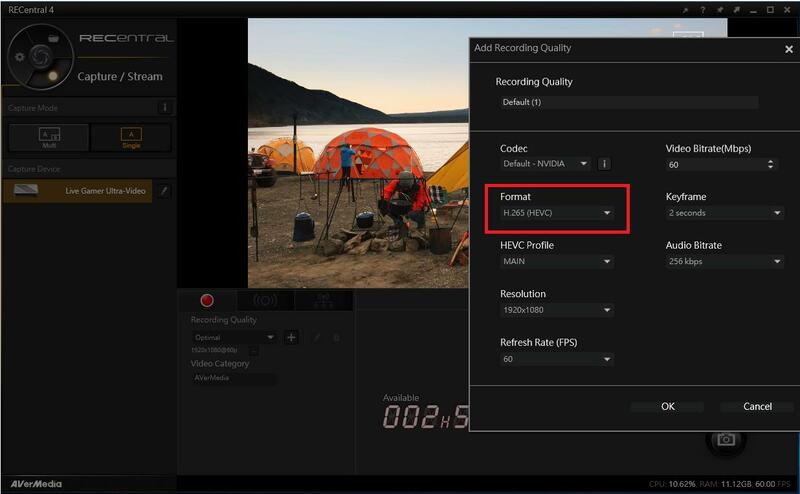 In order to make sure to get precise audio and video syncing all matching up correctly on the recorded file please add audio delay in OBS MAC. 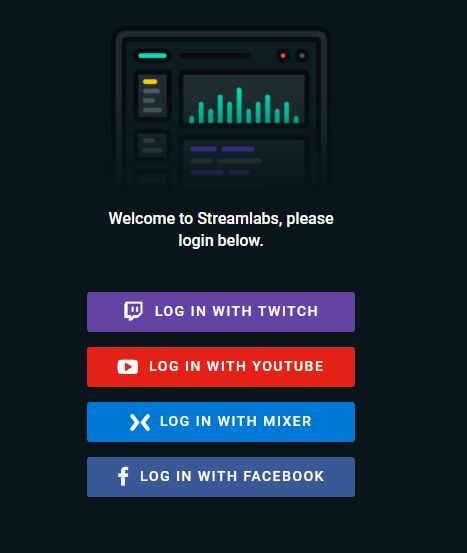 Open OBS MAC and click on “Mixer” gear icon. 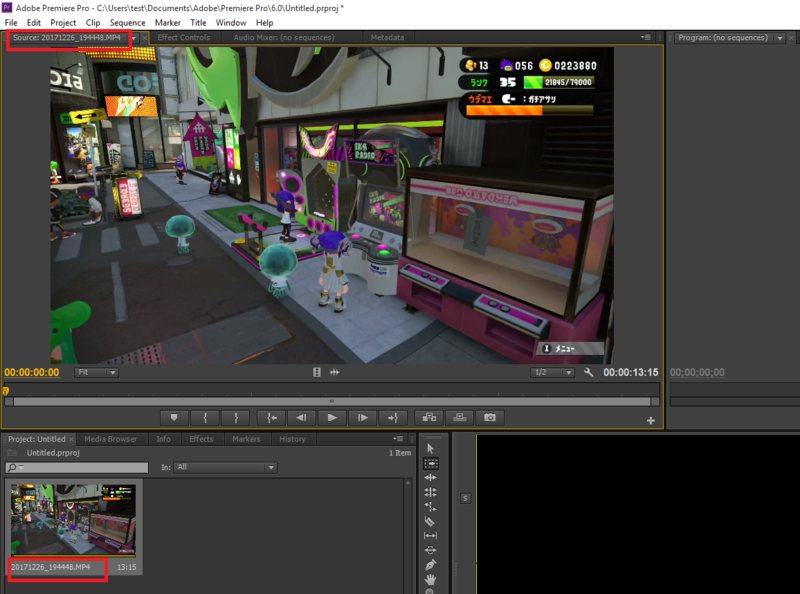 Explanation: if the value at “Sync offset” is positive this will let the capture audio to shift back, if the value is negative the capture audio will be shifted forward. 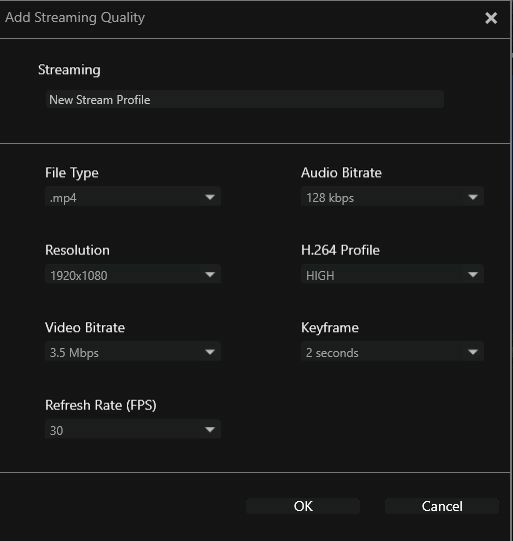 When recording with GC510 the audio data tends to be processed faster therefore please set positive value at 200 ms.
● How to setup TwitchTV/ Youtube alerts and create transparent chatbox in RECentral 3? Select “CHATBOX”, modify Theme to “Clean”, and click the “click to show widget URL” button to generate a chat box webpage. Copy the URL and paste it to RECentral 3. 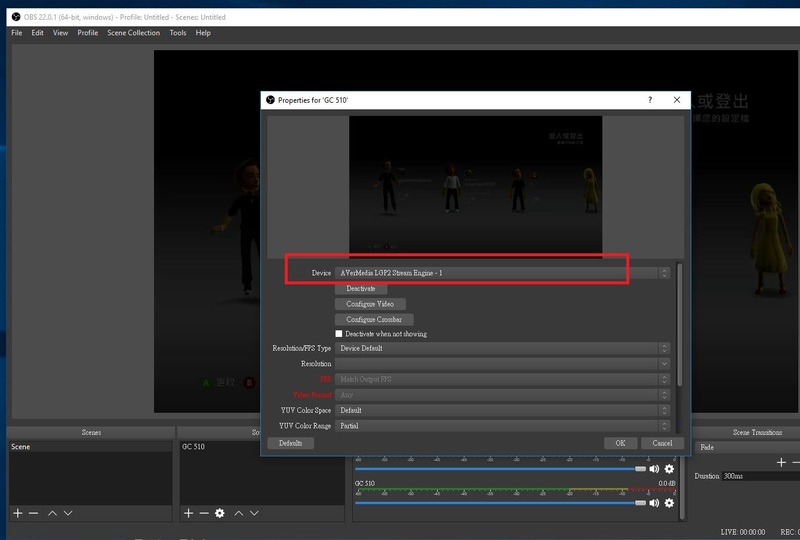 Launch RECentral 3, activate the SCENE function, then add a webpage. 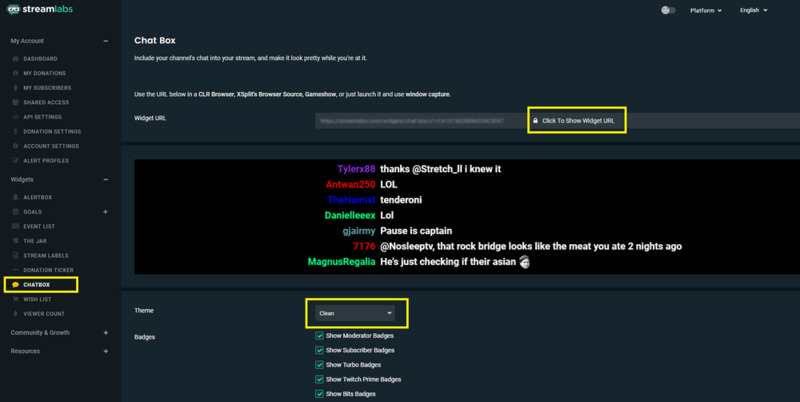 Paste the URL you copied earlier and it should give you a transparent chat box. 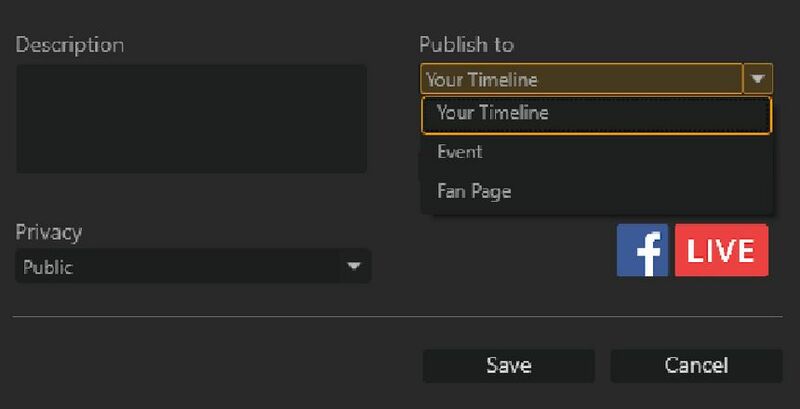 You can try to enter some words on your Twitch webpage and see if the same words will appear in RECentral 3. 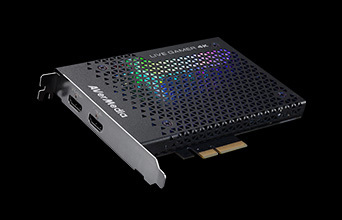 ● When connecting monitor to the AVerMedia capture card’s HDMI out there won’t be sound in RECentral software preview, what to do? 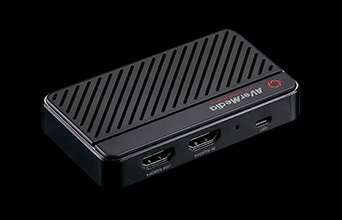 Please confirm that the HDMI monitor you connect to the capture card’s HDMI out has built-in speaker. 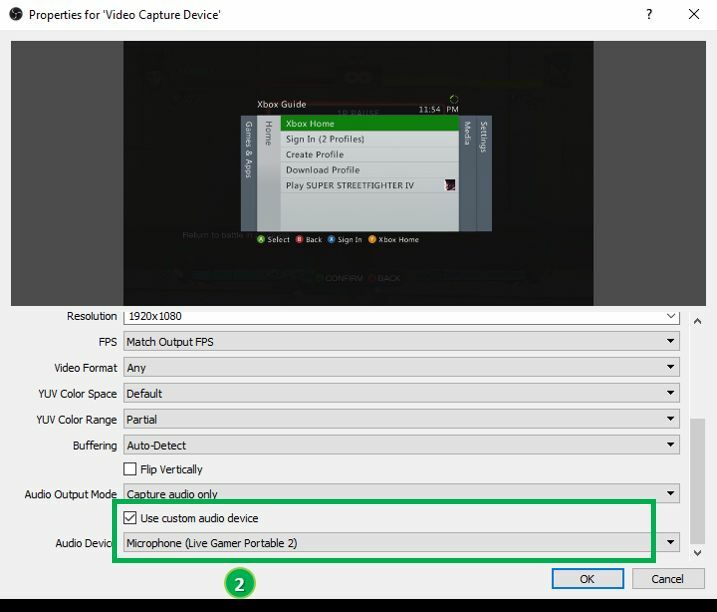 In case the connected monitor doesn’t have speaker (thus can’t play audio) in the HDMI pass-thru setup (input source>capture card>monitor) the input source’s audio output to the capture card will be blocked and there won’t be audio received in software preview. 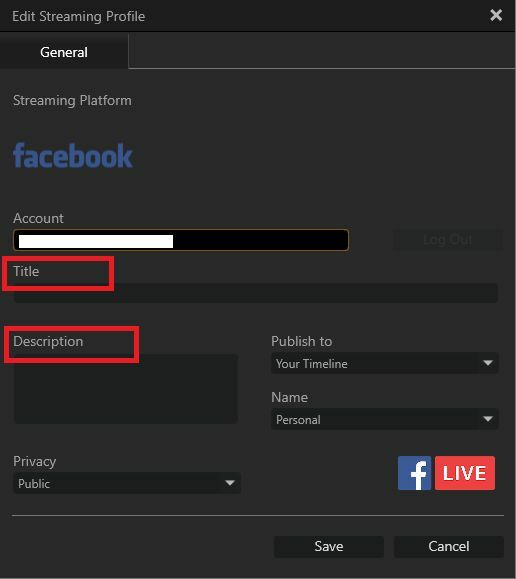 ● How to live stream to Facebook with RECentral 4? ● What type of headsets supported by LGP2 (GC510)/ LGP2 Plus (GC513)? We recommend to use PS4/ XBox One standard gaming headsets. Both LGP2 and LGP2 Plus are compatible with headsets of CTIA specification (4 pole plug: L, R, G, M at earphone microphone terminal). 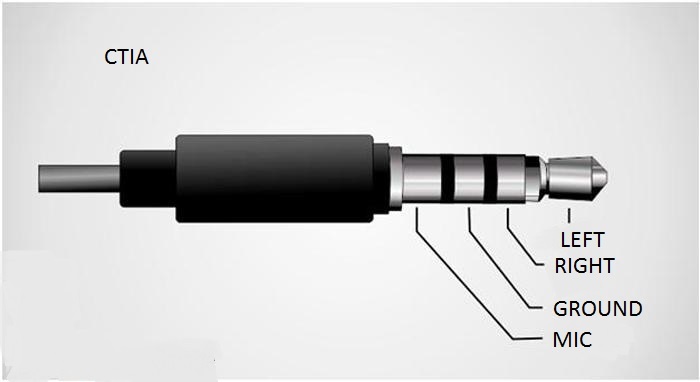 Please don’t use Apple iPhone/iPad earphones, when plugged to microphone port on device audio noise will occur. ● Can’t start recording in PC Free mode, LGP2/LGP2 Plus LED shows red LED, how to fix this error? 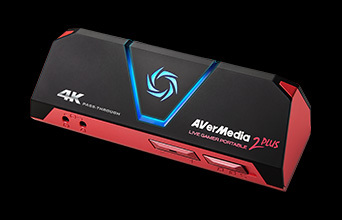 *Note: PS3 via HDMI connection has HDCP copy protection, it can’t be recorded by AVerMedia game capture cards. 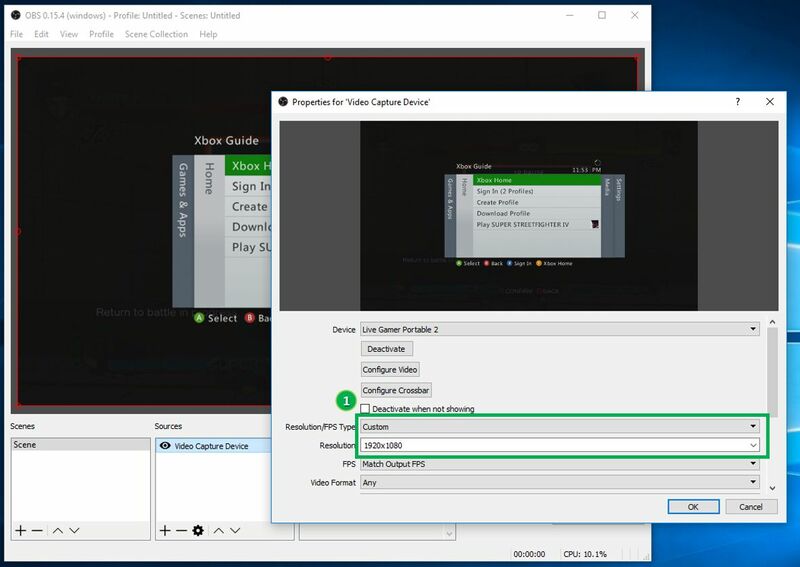 If connect PS4 make sure to turn off/disable HDCP at game console settings. 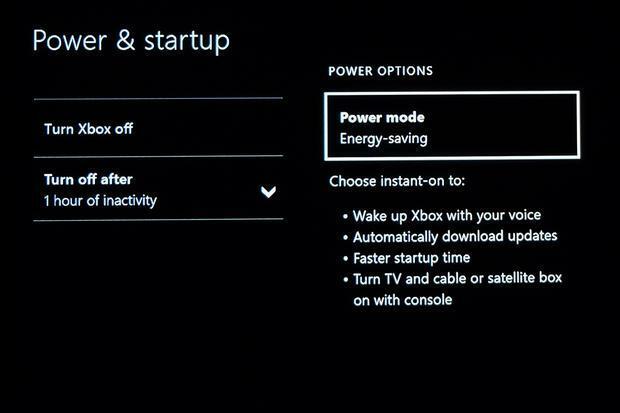 If connect XBox One it’s possible that viewing Netflix or Hulu (or other media streaming applications) has activated HDCP on your game console, the solution: restart the console or turn on energy-saving mode on it. 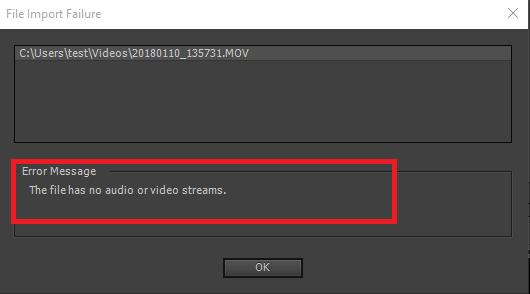 ● When trying to import PC Free mode recorded MOV files into Adobe Premiere Pro receive following error message: "the file has no audio or video streams." Is there any solution available? ● Running Live Gamer Portable 2 on Windows 7 operating system and in software preview I get broken image, how to fix this error? In order to fix the broken image error make sure to activate Aero on your Windows 7 system. 2. 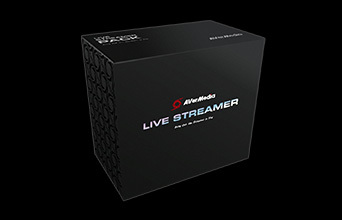 Create UVC device name (GC 510), then press OK.
4-3) Audio Device> AVerMedia LGP2 Audio Stream Engine-1.